Baby Mall Online strives to provide our guests with best in class service. We understand guests might not be familiar with our company, but we hope to give you confidence that we will process and ship your order with quality products and in a timely manner. Our company has a 98% positive customer feedback rating since we began selling on e-commerce in 2006. Please send us your customer feedback at customercare@babyvision.com. See below to review all the positive feedback we have received from our customers in just the past month! 2017-09-04 Was hoping for size newborn but Amazon seems to only carry 0-3months. 2017-09-04 Very soft and cute. Perfect for my son's nursery! 2017-09-02 I would highly recommend this! 2017-09-01 Arrived quickly. Giving as a gift. 2017-09-01 Great price, quality material. Very cute on my kid. 2017-08-31 Sent this to a friend as a gift, and it was as described and highly cute. 2017-08-31 Perfect, very good quality! 2017-08-30 This item is soft, fits as advertised and washes well. Most importantly, it is easy to put on a moving baby! I would definitely use this vendor again. 2017-08-30 Item arrived as advertised and as expected. 2017-08-29 Great items just as described! 2017-08-29 Loved these onezie. However one was 6-9 months and I ordered 24 months. 2017-08-29 These were great! Just as described and arrived on time! 2017-08-29 return of wrong color was easy, replacement received quickly, great doing business with these folks. 2017-08-29 Great quality, my baby nephew will look super cute with this! 2017-08-28 I gave these in a shower gift, thought they were adorable! 2017-08-28 Just what I needed. 2017-08-28 I gambled with the delivery time on my baby sandles I needed them on the 13th and ETA was 11th-16th. I got them on the 12th! Excellent! 2017-08-27 It'sso cute. I like it. 2017-08-27 Perfect exactly what we needed to keep our baby safe and warm! Thank you! 2017-08-26 The shoes are so pretty and perfect . Best shoes in Best price got 2 pair!! My baby is happy comfortable to walk in his new footwear!! 2017-08-26 Just as expected. Fast delivery. 2017-08-26 Such a cute set for baby shower gift - thank you! 2017-08-25 These bibs met my expectation and I highly recommend them. Doing one feeding I kept the bib on longer just to see how it held up; I'm happy to say they met the challenge. 2017-08-25 Ordered these for a baby shower. They are adorable and were a big hit. 2017-08-25 I sent this to a friend (from her Amazon Baby Registry). To the best of my knowledge, it arrived on time and as described. 2017-08-24 Adorable designs. Fit big since they're 0-6 months but overall useful for night changings. 2017-08-24 Works great. Thin and zippers work great. 2017-08-24 Nicer than i thought..
2017-08-23 will be the perfect gift for my friend's baby boy when we visit the hospital. great quality and fast shipping! 2017-08-23 Super cute, soft and arrived earlier than anticipated. 2017-08-23 Very nice and great quality,. Would purchase again. 2017-08-22 I love these as pajamas for my 1 year old. He's a big boy (25 pounds) and a hot sleeper so the open foot style is best for us. The fabric is very soft, washed well, and the designs are darling for a boy without being obnoxious. I can't stand all the Mommy's little ______ or Daddy's little ______ printed on EVERYTHING from carters. These are simple and comfy for my son. 2017-08-22 Loved this for my friends baby! 2017-08-21 So cool! The person for whom I bought these just loves them. 2017-08-21 The were so nice. 2017-08-21 Everything arrived on time, loved the clothes, everyone compliments them. 2017-08-20 So cute and great material. 2017-08-20 Thanks for the easy transaction! 2017-08-20 Will look cute on my nephew . 2017-08-19 So far so good. It was true to description and fit the crib mattress tightly. 2017-08-18 Daughter-in-Law very satisfied with this new item. Will continue to shop Amazon. 2017-08-18 Received order on time for baby but found out it was not going to be used because baby was going to be in hospital for several months. By the time I got the message it was too late to return item. I am going to have to just donate it to my local NICU Unit to be given to someone who can use it. Unable to use this product but not because of anything wrong with product or service. 2017-08-18 Good size for a 3 month old! 2017-08-18 Cute little socks for tiny little feet, quickly shipped, great seller! 2017-08-18 The blanket is very soft and cute! 2017-08-17 So cute and good quality! 2017-08-17 wash friendly and works very well. 2017-08-17 Sugh soft material! Makes after bath time such a cuddly time. 2017-08-16 Thank you very much for the cute little boy baby, This was a gift. 2017-08-16 So happy with this purchase, it was worth every penny! And the shipping was super fast, arrived before expected date. I was pleasantly surprised, the items were just as described. Will buy from here again. Thanks so much!! 2017-08-15 Love these, adorable and soft! 2017-08-14 Very cute shoes! Bought them for a baby shower. 2017-08-14 Had bought for when it cools down, so the little one has yet to wear them but it's great material and made well! 2017-08-14 Fast and easy transaction. 2017-08-13 These were cute. Very light weight and seem to run a bit larger. 2017-08-13 This is the 2nd one I have bought because I loved the first one...now have one when the other is in the wash! Soft, light weight so perfect for summer nights..and love love the zipper zips down so diaper easy easily accessible...smart thinking! 2017-08-12 Did not have direct contact but transaction was satisfactory. 2017-08-12 Very cute bunny towel. Nice quality. 2017-08-12 Love these. Great price. Great quality and fast delivery. 2017-08-11 The seller described the item for sale accurately. Very pleased! 2017-08-09 Item as described and fast shipping. 2017-08-09 Came quick, it is adorable, just what my daughter wanted for her new baby boy! 2017-08-09 I received 2 of the blue/green slippers, the reason being, my Daughter and I can tell our slippers apart, as I babysit. Oops. 2017-08-09 It's good. It's very thin but it works. My son prefers the heavier snugger feel if the marque sack we also bought. 2017-08-09 Very nuce. Good soft material. 2017-08-09 Even cuter in person! 2017-08-08 Very pleased with the items , the person who received it were very happy. 2017-08-07 got my order thank you. 2017-08-07 It fits good...it shrunk a little after a couple of washes! 2017-08-07 This item came much earlier than estimated and in perfect condition. 2017-08-07 Absolutely perfect! It's a soft, comfortable dress! Shoes are adorable and the ankle piece can be taken off if you don't want to use it. Shipped within the estimated dates and was packaged nicely. 2017-08-06 This was a gift for my niece's first baby. The gowns were as described and pictured, shipping was on time. 2017-08-06 Very cute! Thank you! 2017-08-05 My daughter loved them. Exactly what the description said. 2017-08-05 Nice product! I love that the print is a little different than what you can find at every box store. Sizing is on target. Material is not the softest, but not too bad. 2017-08-05 It is helping the baby not have an 'outie' belly button. Thanks for making these! They used to be everywhere and now it seems it's only online. 2017-08-05 Super soft and babies love it! 2017-08-05 Love the double layer pink blanket for the new great grandbaby. So soft and pretty. As described by the seller. Would buy again. 2017-08-04 Cute, tiny, colorful, used as an extra gift for a shower. Baby looked darling in them. 2017-08-04 I bought these for my grandson and his mommy said they are really cute. 2017-07-18 These shoes are adorable. I bought them for my 6 month old grand-daughter and they are just perfect. 2017-07-18 Nice quality cloths, arrived super fast, and my niece is very happy with them. 2017-07-18 Nice bag has room for newborn to grow. 2017-07-18 great quality. can use in dryer and designs stay so well colored. 2017-07-17 very soft and high quality! 2017-07-17 love them, looks good on our baby. 2017-07-17 excelente, idéntico como muestra la imagen. 2017-07-16 I bought these for my new grandson, they are perfect. They are a good size and lightweight for summer. 2017-07-16 The cloths are soft and absorbent. Adorable baby shower gift. 2017-07-16 I love them !! They fit well and they match an outfit I had already gotten my grandson.I thought they were a great bargain. Would buy this brand again. 2017-07-15 It is exactly as described. I liked snd I recomend this product . 2017-07-15 Everithing was ok ! 2017-07-15 Fast shipping! Arrived a couple of days after I placed the order. The Sleep Sacks are as advertised. Thank you! 2017-07-15 Todo muy bien. Tal cual lo esperaba. 2017-07-14 Surprised at how fast I received it. Although my some is only 8 months he can fit most 9-12 month clothing. The shoes he might get three wears. 2017-07-14 All good, no problem. 2017-07-14 received the items in timely manner. My main issue was that I received one of the suits in the wrong size; the baby turtle onsie (which happened to be my favorite one) came in too small at 0-3 mos. 2017-07-14 Not as expected due to the quality of fabric. These are 2 to 3 times use only and then garbage. But for the price $2.50 each pant it is fair deal. 2017-07-13 Excellent service & nicely packaged! Happy customer! 2017-07-12 I got exactly what I expected. Good material, good prices. 2017-07-12 It is nice and good condition. 2017-07-12 Perfect fit and great quality. 2017-07-11 Items are great but the play suits were just shoved in a mailing box - not impressed at all and will not order from again. 2017-07-11 Arrived on time and in perfect condition. I was very pleased with my order. 2017-07-11 Excellent!! !, as we wait. 2017-07-11 Very quick, just what I ordered. 2017-07-10 This crib sheet is very soft fabric and nicely shipped in a plastic wrap. We have not used it as the baby is to arrive in September. She will love to snuggle with her new sheet! 2017-07-10 My granddaughter will love it when she's old enough to wear it. She won't be born until August 22, 2017 so it will be a year before she can wear it. Loved it so much I wanted to get it now for her. 2017-07-09 As expected, thank you. 2017-07-09 The bodysuit is thicker than others I have and soft. But one of the items had a black smudge on the front. 2017-07-07 Shipped very promptly. Clothes were in perfect condition. 2017-07-06 Service was quick and easy! The onesies are amazing quality for something bought on BabyMall. Would buy again! 2017-07-06 good quality, fits well and very cute. 2017-07-06 Pants seem to be different sizes but will fit 0-3 months just at different phases. 2017-07-06 They fit her feet really well and she loves to play in them! 2017-07-05 The perfect little summer outfit! 2017-07-05 There was a slight error in the shipment. We ordered 2 separate onesies (beet and eggplant) and got two sizes of the beet. Still happy with the product, honest mistake, not worth making a fuss over (less than $3.00). 2017-07-05 Super cute, love them! 2017-07-05 I love this blanket. The colors blend so well. Definite keeper. 2017-07-04 Very quick delivery and product is as described. 2017-07-04 The gowns are adorable. I cant wait till my grandson arrives and I can put one on him. 2017-07-04 Socks were exactly what I was looking for for the gift I gave. She loved them. 2017-07-03 I like the clothes and service. 2017-07-03 Great value for money. 2017-07-03 The most adorable onesie ever!!!! I cannot wait for my friend to see this at her baby shower. The cutest ever. Love the organic feel. the price was too low to pass up!!! 2017-07-02 Delivered as promised. No experience with product...sent as a gift. 2017-07-01 Item as described. Was delivered a few days early also. 2017-07-01 RECEIVED PRODUCT BEFORE ESTIMATED DATE. IT WAS AS DESCRIBED..
2017-06-30 Excellent buy! Onesies are Embroidered! 2017-06-29 These cute little socks came on a hanger, super easy for storage. Definitely would buy again. 2017-06-29 They are really nice and seem to be of great quality. 2017-06-29 They fit well and they are so cute! 2017-06-29 They're big enough for my daughter. I bought different kinds and they were too big for her little body. 2017-06-28 All went well, would buy from again. 2017-06-27 I have no problem with the item. It's really nice, but it runs too big for for 0-3 months. Maybe it will last longer then 3 months, but my son definitely can't wear it now. 2017-06-27 The outfit will be perfect for our micro preemie grandson. 2017-06-27 Nice product. Not very soft or delicate feeling, but will do the job. 2017-06-26 Came just as the picture excellent. 2017-06-26 Arrived in good condition and promptly. Not opened yet since it is for an upcoming shower gift. 2017-06-26 For new grandson parents liked them. 2017-06-26 Excellent Product and Excellent Service! 2017-06-26 Fast Shipping, Happy with the whole transaction! 2017-06-25 Nice items and shipping! 2017-06-24 great product as ads. 2017-06-23 Cute little mittens perfect for our fox theme! 2017-06-23 Very soft blanket , I recommend it to my friends . 2017-06-23 These socks are perfect for my preemie, they fit her soo nicely. They don't fall off! 2017-06-22 Great company and I love their baby stuff! 2017-06-22 Was the perfect gift. So adorable. 2017-06-22 Was exactly what I wanted. 2017-06-20 Delivered on time, items was in good condition. 2017-06-20 So cute and Fast turn around thanks! 2017-06-20 fit was true, will purchase from seller again. 2017-06-20 Delivered on time, before I expected! Excelent! 2017-06-20 Very Soft! Great for little feet! 2017-06-19 These looked very big when I got them in. I washed and dried them and they shrunk a lot! My baby is a chunky 6 month old and they fit her well. They will not be fitting her by next month. I bought the 6-9 month size. 2017-06-19 Arrived quickly. Product is as described on the website. 2017-06-19 Not sure about the product, for some reason the postal service sent the item back after holding it for 1 day. Customer service was prompt when I emailed them about the situation and refunded my account in a timely manner. 2017-06-19 Love the ease of being an BabyMall member. 2017-06-19 Made well. Great delivery. 2017-06-18 Very good shipping response. Nice quality merchandise! 2017-06-18 Shipped sooner than it said and made it just in time for my niece's birthday. Really cute pants, great for the price. And you get 3 pairs so that's and added bonus. 2017-06-06 Muy buen producto y buen servicio. 2017-06-06 The socks are perfect for what I will be using them for as a part of a center piece decoration for the baby shower I am hosting at the end of the month for my daughter in law. Once the shower is over she will have the booties for her twin boys. 2017-06-05 This arrived quick and just as shown. Thank you. Since it was a gift, just wanted to say they really liked them so much! 2017-06-05 Perfect! Love them! Fast delivery! 2017-06-05 Everything arrived on time and in great condition. 2017-06-04 Good for hot weather, good quality. 2017-06-04 Great towel set. Will be purchasing more. 2017-06-04 I am in love with this set, and they fit my chubby son very well! He's in the 97th percentile, so I wasn't sure how well they might fit. I am impressed, and they aare as good fabric. 2017-06-04 These came early and are adorable! Thank you! 2017-06-04 Cute towel was bought for baby's 1st birthday towel. She loved it and quality was great. 2017-06-04 Contacted seller to verify I could receive the order for an event. Seller quickly responded and I received the order on the early end of the shipping timeline which was exactly what I needed. 5 Stars for customer service and the onesies were exactly what I needed!! Thank you! 2017-06-04 It was as cute as the picture, I love it. 2017-06-04 Shoes were a bit big, but she can grow into them! 2017-06-04 Everything was as described. 2017-06-04 Very cute. Received way before estimated delivery date. Would tell others of online shopping. 2017-06-04 I got this for my 4 year old and she loved it and the size is perfect. It would be great for a newborn too. 2017-06-03 The pants shrunk after one wash. I washed them in cold water and dried on low heat, so I am not sure why they shrunk so much. Ugh! They are great pants, but my baby will soon outgrow them. 2017-06-03 Item as described and shown in image, but not true to size. Quick service and delivery. 2017-06-03 Items as listed and arrived early! 2017-06-03 They were a little big but he will grow into them. They look nice and are good quality for the price. I would by them again. 2017-06-03 My son is 8 lbs and the newborn size is still a bit big on him so I would definitely size down for other sizes. Super cute & soft onesie, though. It's been washed several times & is holding up just fine. 2017-06-03 Arrived on time as described! 2017-06-02 My orders was delivered earlier then expected my experience was great. 2017-06-02 I'm please with the bby sock..
2017-06-02 Just right for the weather herein Alaska. 2017-06-02 Perfect, the new mama loves them. 2017-06-02 Soft and functional. Though it is a pieced together item, not a solid piece of cloth. 2017-06-02 Love these, my baby boy is a little too small for them still, even after washing, and I ordered the 12-18 months pack, but he will look so adorable in these! 2017-06-01 Item arrived promptly. Seem like good quality leggings. 2017-06-01 This item was a gift. 2017-06-01 Good. Good good. Good. 2017-06-01 bought these for my nephew because his dad's last name sounds like koala. it's an inside joke i guess. 2017-05-31 Everything went as expected. Even the item arrived before the estimated delivery. 2017-05-30 Good transaction and quality product at an awesome price!! 2017-05-30 Very good about of onsies at a good price. 2017-05-30 quality fabric, cute design, came when it promised. very satisfied with my purchase. and you can't beat the price! 2017-05-30 Dress came well packaged and is a good fit. 2017-05-30 Item arrived on time, as described. 2017-05-29 Stays on hands. Works great. Just as described. 2017-05-29 So adorable. My day LOVED it. 2017-05-29 Good service and good quality items. 2017-05-28 They are just darling and I can't wait to use them when my little one arrives in the next few weeks. 2017-05-28 Fast delivery and item as described. 2017-05-28 I arrive on the expected date. 2017-05-27 My order came before its scheduled time. I received my package on 5/27/17 The service was fast and one time. Thank you. 2017-05-27 This set is inexpensive and gorgeous. 2017-05-27 Cute pants and price is a deal. 2017-05-27 Exactly what I ordered and on time. 2017-05-26 They adorable and fit perfectly! 2017-05-26 These shoes are so cute! They look and feel like they would be comfortable to wear. I am sending as a gift for a new baby girl! 2017-05-26 Arrived on time. No complaints. 2017-05-26 I was thankful it came right on the 18th! 2017-05-26 Items arrived before the estimated delivery window and they look great. I am excited to put them to use! 2017-05-26 Love these onesies, super cute! 2017-05-26 Loved it! Thank you! 2017-05-25 Bodysuits are very cute and good quality, just right for summer weather. 2017-05-24 Great price & quick delivery! 2017-05-22 Got it for my cousins kid, she loved it. Said it was super soft. 2017-05-22 Item was as described and arrived faster than I expected. I would recommend this seller. 2017-05-22 Great onesies for the price. 2017-05-22 Size did match my nephew even when hes a little oversized, the quality is very good for the price. They are still in perfect state after their first wash.
2017-05-22 I liked that I arrived very on time. 2017-05-22 Loved them came on time very pleased, Thanks. 2017-05-22 This was a gift for a mother to be..
2017-05-21 Amazingly made! Absolutely love this item! 2017-05-21 Perfect product...just as described. Quick delivery time. 2017-05-21 Wife bought it for a present, new parents are happy. 2017-05-21 Everything went smoothly with this order, and I had no need to contact the seller. The item arrived a week before it said it would, which is great! 2017-05-21 Great value and fit perfectly. 2017-05-21 Cute little pants. Good weight will keep her warm outdoors and with travel. I bought them early for the GREAT price. 2017-05-21 Great item for good price. Product as promised. 2017-05-20 fits bitty baby perfect. 2017-05-20 Product exactly as pictured/described and arrived on time. Overall I'm happy with this seller. 2017-05-20 New parents are raving about this gift. 2017-05-20 Love the bibs and burp cloths, they are very soft, I'm sure my baby will love them too. 2017-05-20 Fast shipping! Very happy with purchase! 2015-03-06 My package arrived at location before estimated delivery. I was very pleased. 2015-03-06 Early and exactly what I ordered! 2015-03-06 It is very cute! 2015-03-06 Very cute little shoes, if only she could keep them on! 2015-03-06 arrived as described. good seller. 2015-03-06 Fits perfectly and so cute! 2015-03-06 Best booties ever purchased. I would recommend to everyone that has a baby. 2015-03-06 A++ was dilevered fast! 2015-03-05 Really fast shipping and product was really beautiful. 2015-03-05 Great delivery, excellent product quality! 2015-03-05 Soft, bright, very adorable !! Pretty !! and so very Girly prints that are unique ! So happy I got these.. Can't find at any department store such lovely prints/ color combination and 5 in a set. Fast delivery and packaged with care..
2015-03-05 These shoes are adorable! Everyone who sees them loves them! 2015-03-05 Cute socks but a little large on size. 2015-03-05 Arrived as described !!! Great seller !! 2015-03-05 I love these socks, keeps kids from falling/tripping on slippery floors. 2015-03-05 We received these within 3 days after we ordered them! They are adorable and soft, and fit great on my 6 month old with room to grow. A very good buy! 2015-03-05 Very cute little leg warmers! 2015-03-05 Super soft and thick blanket. 2015-03-05 I have no problem. The seller was very fast. 2015-03-05 Everything was as promised!! I had no problem!! 2015-03-05 Fun design, happy organic Mama-to-be. 2015-03-05 Its soft and cozy for my baby to sleep and she loves it. I notice she sleeps longer and does not wake up with the surrounding noise. Love it! 2015-03-05 Fast shipping. Soft cloths. 2015-03-05 No problems. Great pillow. 2015-03-05 Perfect as usual! This is why I am a repeat customer! 2015-03-04 These socks are awesome thanks! 2015-03-04 Ordered the size 4 because my son is pretty chunky. They fit a little baggy in the front and back, but my son's legs seem to be a bit snug. I shoved them on anyway and he hasn't complained and there weren't any red marks on his thighs when he finally peed in them. Love the thickness of these because it's easy to clean up. Only mess is in the underwear, rarely on the floor. 2015-03-04 Cute! Sooo cute and soft ! 2015-03-04 Beautiful trendy shoe..love love love! 2015-03-04 Really fast delivery, exactly as pictured. 2015-03-04 Well made product, perfect for easy clean up. 2015-03-04 I love these little socks! They save my son from slipping and falling often. 2015-03-04 Was gift,but they seemed ike they were good quaility.price was great. 2015-03-04 These shoes are great! Prompt delivery. 2015-03-04 Loved the onesie and so did our little one's aunt!! 2015-03-04 Item came very quick and it was exactly as described. 2015-03-04 Great Seller! Prompt, on time and easy transaction! 2015-03-03 Love the flexible soles! 2015-03-03 They are so cute! Actually fits my 2 and a half baby (with socks)! She'll be using them for quite awhile! Love the colores!! 2015-03-03 The boots are adorable. My granddaughter loved them and they fit my GreatGrandson perfectly. 2015-03-03 I'm very happy with my order. 2015-03-03 The socks were unique and adorable. Great gift! 2015-03-03 No problems. Great transaction with product delivered on time. 2015-03-03 Super cute and flexible shoes for a baby! 2015-03-03 Item received before I expected it (based on the delivery estimates I was provided by Amazon). I haven't used the shoes yet, because the baby isn't born yet and he'll be wearing the boots next winter, but they are just what I expected based on the picture. 2015-03-03 Nice tights. Fit as expected. Good quality and arrived on time. 2015-03-03 I ordered these adorable socks for my youngest niece. She and her husband just had their second child. Their other child is almost eight years old and they had given away all of their baby items they had from him. Now, they are having another boy and need everything. I knew they would love these socks, and they did. Thank you for your prompt service. 2015-03-03 The items were good quality and at a good price. 2015-03-03 This article is adorable. It was presented as a shower gift. Everyone loved the pattern. 2015-03-03 The service was very good and thank you for your support. 2015-03-03 Arrived on time, item as described. So far my nephew has only worn them once, but they are cute and great for the price. 2015-03-03 Very pleased with product and service. 2015-03-03 every thing was good. 2015-03-03 soft and beautiful. item is as described. 2015-03-03 The shoes go on easily, especially over the feet of onesies to give them better traction when new to standing/walking. Worth the money. 2015-03-03 good transaction. no problems. 2015-03-03 Item arrived weeks before scheduled. Cute tights, worth every penny. 2015-03-03 The headbands are adorable! Can't wait to have my newborn wear them. 2015-03-02 This outfit is so cute and it came really quickly! 2015-03-02 Great for the new toddler, especially since we don't allow the hard bottom shoes in the house. 2015-03-02 I love the sandals and they arrived on time. 2015-03-02 Love the socks. However, my son is barely six months and they are a little small. 2015-03-02 These are so cute! Im so happy i got them for my son. 2015-03-02 Purchased for my grandson and his potty training. Very absorbent! 2015-03-02 Good product, arrived on time. 2015-03-02 Daughter LOVED the items! Thank you! 2015-03-02 Their was a slight color variation, but overall everything was fine. 2015-03-02 Very cute onsie. I can't wait to put it on my grandson when he arrives. His big sisters are waiting patiently. 2015-03-02 This was for a friend of mine who has MS. I don't have to worry about her hand knocking her plate off the table any more. Thank you so much. 2015-03-02 I found the preemie size is much better for my baby. I love the color, and how it fits her. 2015-03-02 So cute. Arrived early. Just like photo. 2015-03-02 Item as described with no problems. Recommended. 2015-03-02 Description was as promised. Prompt delivery time. Thank you ! 2015-03-01 Very cute to slide on! 2015-03-01 These are so soft. Nice fabric - heavier than I thought they would be. Nice quality. Good colors. Great price. 2015-03-01 I recommend this seller. 2015-03-01 it was shipped as promised and delivered on time. 2015-03-01 I gave this as a gift and the recipient mentioned that it works perfectly well. 2015-03-01 Great product and delivered on time. 2015-02-28 I love the product. 2014-09-12 Item as described, well-packed, shipped quickly. Great seller! 2014-09-12 These are SOOOO cute!! I plan to order more sizes as the baby grows. We absolutely love them. 2014-09-12 the girls love them! 2014-09-12 Arrived on time and looked exactly as seen in the pictures. The blankets are soft and cute! 2014-09-12 Sent on time. Good quality product, very beautiful. 2014-09-12 Fast delivery, happy with the purchase. 2014-09-11 Very cute. Wouldn't last long for walking but for a toddler they are fine. Delivered before expected. 2014-09-11 The Hudson Baby clothes are incredibly soft and fit just as expected. 2014-09-11 Loved my babys yoga pants, thanks. 2014-09-11 Great sleepers. Good seller, quick shipping, and great prices. 2014-09-11 Very soft and cute, love them. 2014-09-10 Great deal and service, thanks. 2014-09-10 Package and item arrived in good condition. New and clean. 2014-09-10 Adorable. Great quality and even better price. Arrived long before the estimated time. 2014-09-10 Very please with items bought. They got here before the baby was born. Colors are so vivid and material is so soft. Will be ordering from them again. Mommy and Daddy loved them too. 2014-09-10 Very cute clothes. Great price. 2014-09-10 Great to do business with!! 2014-09-10 Very cute, and fast shipping! Thank you! Will be looking to buy again from this seller! 2014-09-10 Great quality and cute colors! 2014-09-10 All was smooth, Product looked good. 2014-09-10 These shoes are super cute and adorable. My son looks so cute in them and we have matching "Converse"
2014-09-10 I love the size of these towels since they are a little bigger.. They are soft on my baby's skin and the colors are bright and vivid. 2014-09-10 Bought it as a gift for a friend who is delivering in December. She was elated. Thank you. 2014-09-10 My husband is very picky but he loved these colors. 2014-09-09 Bibs were delivered in about two days that's fast. Product is exactly what I need. And I got them at a really good price. Keeps baby clean and dry and keeps washing not a priority for bibs if you are low on cloth ones. Will be buying more when needed from this seller. 2014-09-09 Item was a "hit" at a baby shower. 2014-09-09 ADORABLE, need I say more??? These are really great and do fine in machine washer and dryer. 2014-09-09 Would order from this seller again. 2014-09-09 These are much cuter in person than they are on the website. I am happy with my purchase. 2014-09-08 The shoes I ordered were very cute, although a little tight on my son. 2014-09-08 Arrived ahead of time. No problems and very cute shoes. 2014-09-08 Just what I hoped they would be. 2014-09-08 Great product, great price, fast service! 2014-09-08 Super cute and soft booties, arrived quickly and in the stated new condition. 2014-09-08 Bodysuit came quickly and was so soft and nice. Very pleased with purchase and seller. 2014-09-08 Finally found the perfect leggins LOVE these and they fit well! 2014-09-08 The items were gifts, well liked! 2014-09-08 Wonderful product. Very satisfied with this purchase! Will buy more from this brand/company. 2014-09-08 I was expecting them to be a lil thicker compared to the other cloths I have . But its a great value and they do the job . I am happy with the purchase . 2014-09-08 Thank's for being a good seller, products as described for you. Prompt service. 2014-09-08 Bought this for my daughter, she is due in 2 weeks. I got it out of the package and just couldn't wrap it. I spent HOURS just running my fingers over the plushie part and seriously thought about having to order a second one because I wasnt certain I could give it up! This is amazing. 2014-09-07 The towels are actually a bit bigger than I expected but still very cute and a good buy! 2014-09-07 Item arrived before date expected. Looks great! Thank you for such great service. 2014-09-07 gift for a family member. 2014-09-07 Super quick shipping, great quality for a cheap price. Love the items! They fit my daughter perfectly with room to grow. 2014-09-07 Quick shipping, very cheap price, great quality. Love the items that I purchased! 2014-09-07 Got these pants because they were cheap and really enjoyed the price, the pants turned out to be better than expected. 2014-09-06 It is a cute hat, just a little bigger that I expect. Still I can't wait for look my baby girl with it. 2014-09-06 Quick shipping, well packaged. 2014-09-06 Items arrived well before the promised date! 2014-09-06 Very cute, love it! 2014-09-06 My grand daughter loved them! I got photos from her mom ASAP with her wearing them. Very cute! 2014-09-06 Quality product for a great price! 2014-09-06 The cutest thing. For big babies with big feet. This might be small. 2014-09-06 Great seller, excellent product. Thank you! 2014-09-06 Seller shipped very fast. 2014-09-05 Loved them very cute. 2014-09-05 Beyond cute!!! This outfit is great quality and cozy. Our little grandson loves it! 2014-09-05 Very quick service and nice product. 2014-09-05 So so soft! And came on time!! 2014-09-05 Item arrived as described and way on time. Good on you. 2014-09-05 merchandise arrived on time. 2014-09-05 Good seller, great buy! Exactly as described. Quick delivery too. 2014-09-05 I got my mittens so I'm happy. 2014-09-04 The item was pretty much as described, the animal patterns and colors are exact, but the size isn't. When I ordered them they were for my 4 month olds feet, when we received them they were kind of snug and she has skinny feet, and now that she's 6 months they pretty much don't fit her at all, its too bad because they are cute and I love owls. 2014-09-04 Def a great buy, very soft & great quality! 2014-09-04 Very nice people and the baby clothes was perfect. Would definitely recommend this seller to any other person looking to buy clothes for their baby. 2014-09-04 Fast service! Thank you! 2014-09-04 Great blanket, washes well!! 2014-09-04 Items were well packaged and arrived on time. 2014-09-04 Everything arrived as expected in perfect condition. The seller was great. However, the manufacturer of this item needs to revise their size guidelines. The size of this item is a 0-3 months (and I confirmed it's the correct size on the tag), but these items were really, really, ridiculously long. I'm going to save them and use them when he's bigger, but it's really more of a 6month size. 2014-09-04 Item arrived quickly and was as described. Thank you very much. 2014-09-03 Great buy. Thank You! 2014-09-03 Item arrived quickly and as described. Thanks! 2014-09-03 LOVE this product! Quick and accurate shipment! 2014-09-03 Very fast shipping! The product arrived in great condition. Thank you! 2014-09-03 Shipment arrived 3 days earlier than the estimated delivered date. Seller provide good customer service and prompt reply in email. 2014-09-03 Item arrived ahead of schedule. Great experience. 2014-09-03 Perfect fit for my little cradle! 2014-09-02 The speed of delivery was amazing, plus the shoes are soft and comfortable. 2014-09-02 These are wonderful! Sturdy elastic, but not too tight, and beautiful material as well. Thank you so much, it has been a pleasure doing business with you. 2014-09-02 Granddaughter loves this little guy! 2014-09-01 All was Excellent and the product arrived in good conditions. Thanks you! 2014-09-01 I was so happy with this, and so was my friend i got it for!!!!! 2014-09-01 Quick shipping, great product, thank you! 2014-09-01 AMAZING these were incredibly perfect for my 3 month old (my little guy is a bit chunky lol) for the summer. The fabric is super soft and airy. I will see if the sell short sleeve too for the spring. Loved these! 2014-09-01 Sheets were really soft and good for the baby's skin. It fitted my 3" mattress, but could easily fit a 5" thick mattress, as their was extra fabric which would provide coverage for such. 2014-09-01 My two year old loves these! I did order different sizing per another reviewer and she had it right! They fit like a glove and were great for camping! 2014-09-01 Very nice and soft. 2014-09-01 Very cute outfit. Prompt shipping. Thank you. 2014-08-31 Great seller! I love buying from them, because they always ship fast, the clothes are as described and in great condition, and the prices are right! Great transaction all around! 2014-08-31 Good quality, happy with purchase. 2014-08-31 This is a really cute set. 2014-08-31 The only "negative" thing about this item was that the seller shipped me the item in a size bigger than what I had ordered and stayed that the size I wanted was sold out. Not to big of a deal, but I will have to wait a while before my baby will be able to wear it. 2014-08-31 Adorable - Soft - Cute - Great Price - Love that it is a natural bamboo cotton set. 2014-08-31 The experiente was nice. 2014-08-31 my grandaughter loves them. delivered on time! perfect! 2014-08-31 Fast delivery. Adorable shoes, I have to edit till my little one arrives to try them out. 2014-08-31 bought size 12-18 for my 17 month old based on reviews that they run big and they fit her great. 2014-08-30 I have nothing but wonderful things to say about the seller and product. Delivery was as expected and it was just what I hoped for!! 2014-08-30 Extremely cute; ordered as a gift. 2014-08-30 Exactly what I had hoped for. Soft and easily cared for. 2014-08-30 Love items! Arrived fast! 2014-08-30 This outfit is so cute but on screen it looks white and pink. It is actually a pale yellowish color. I suspect from being unbleached cotton. I would have preferred white. 2014-08-30 Great product, good quality! 2014-08-30 The outfit is very nice its a little big at the moment but she will grow into it . Nice quality. 2014-08-30 Happy with the panjamas! 2014-08-30 The first set I bough was defective. I return them and ordered a new set. Received my refund promptly. Received the replacement promptly and in excellent condition. Would order from them again. 2014-08-29 Great price. Good product. Outstanding customer service. 2014-08-29 Exactly what I wanted and exactly what was described. Seller also got me the item very quickly. Great great great! !!! 2014-08-29 Excellent transaction! Thank you. 2014-08-29 This company is a new favorite for me. Nice quality great pricing. Love!! 2014-08-29 So cute. Arrived as promised. 2014-08-29 arrived and I loved it- great timing! 2014-08-29 This product is adorable! 2014-08-29 Item arrived exactly on time. Very pleased with the arrival date, as it was posted "August 28 - September 4, 2014" and it arrived on August 28!! I was very happy as the baby shower is set for August 31st. I would buy again from this seller. 2014-08-29 Very cute and quality clothing! 2014-08-29 My first time using these. So far it's a good purchase. I would buy it again. 2014-08-29 Fast Shipping, Good Communication, Recommended! 2014-08-29 I love these onesies. Super cute. An total steal. I recieved them in two days. Extremely fast delivery. They look an little big than I wash them and they were perfect size. 2014-08-29 Delivery was timely and my items were as described. 2014-08-29 Very cute. A little bigger than I expected, but babies grow fast. 2014-08-29 Exactly what I expected. Very cute! 2014-08-29 Great buy. Adorable and they washed very well. 2014-08-29 Ordered for a friend's baby shower, which is fast approaching, and received these adorable onesies promptly and packaged nicely. Thanks! 2014-08-29 cute fast and great packaging!!!!!!!! 2014-08-29 fast and great packaging and love the product very cute!!!!!!! 2014-08-11 All the baby clothes are for a gift baby isn't due until Dec. so I haven't opened any of them. But they all look just as I expected them to. 2014-08-11 This blanket is so cute and comfy! My son loves his blankets and he definatly loves this one! I highly recommend getting this blanket! Super soft and a great price! 2014-08-11 Cute outfit; everything as expected. 2014-08-11 I have yet to be disappointed with anything I have ordered from this seller! They are number 1 in my book! Fast delivery. 2014-08-11 Product as displayed in photos. 2014-08-10 Awesome!!! Absolutely love these blankets... nice large sz! 2014-08-10 The Bath Robes with Slipper were exactly what I was looking for as a baby shower gift. You can buy these for a baby shower and place them in a wash basket with other bath items. You can use these also after swimming too. The mom to be was thrilled. The quality of the items was good and I would recommend this to anyone with little ones or for a baby shower gift. Price was great for my needs. 2014-08-10 The bodysuits came promptly and just what I ordered for my great niece. 2014-08-10 Good stuff.stays put on newborn's hand. 2014-08-10 i had no problems with my order. I received what I ordered. 2014-08-10 Item arrived early and was a great shower gift! 2014-08-10 It arrived sooner that I expected. The price was great will order from here again. 2014-08-10 they are adorable! and very well made. arrived early great gift. 2014-08-10 I'm very happy with my stuff !! 2014-08-10 Item is beautiful! Best price online and came super fast! 2014-08-10 Prompt service for items ordered. I have ordered most of my grandson's clothing from them and the items were all received in perfect order and the sizing is excellent. So I did not look any further whilst ordering this baby girl set for my friend. The quality of the clothing is also great and d prices are excellent! 2014-08-10 Great products and seller. 2014-08-09 Absolutely adorable and incredibly soft! Great buy! 2014-08-09 I love it my baby is comfortable? 2014-08-09 Fast delivery but it didn't fit and my baby is only 16-months-old. He doesn't have an unusually large head either. There's no way that it would fit a 36-month-old baby's head. I gave it to a friend who has a much younger baby because it is a nice hat. 2014-08-09 T came fast as described. no issues! 2014-08-09 Item arrived earlier than expected. Packaging was good and item was great! 2014-08-09 Ever you have an excellent service, thanks...!!! 2014-08-09 I am very upset about this bodysuit, because they have just one color for 6-9 months!... I wanna buy more. Very very soft, perfect quality, and beautiful price! 2014-08-09 The item was perfect. 2014-08-09 Great gift for my future nephew or niece ! 2014-08-09 I Really like them, but it came to big , I bought the 12to 18 months and my babies are 16 month and I don't think they will be able to wear them for another couple months ! 2014-08-09 Adorable! Super soft material! 2014-08-09 Items seem to be good quality. Will be a gift. 2014-08-09 Good service and nice baby blankets, very colorful. 2014-08-09 Quality product at a great price. 2014-08-09 This item is so soft, wear well. I would buy more. 2014-08-09 Thanks for the good service! 2014-08-08 Would recommend Seller. Package came very quickly, before estimated date! Thanks! 2014-08-08 This item came very quickly and was exactly what I was looking for. Thanks again. 2014-08-08 Love this item...wish they made it in purple though. 2014-08-08 Product was exactly as described. Thank you. 2014-08-08 Great product, everything as described by seller. 2014-08-08 Timely and professional. No issues at all. 2014-08-08 I purchased these for my grandson, there were very soft and a excellent price. I hope he likes them! 2014-08-08 Item arrived as stated. My only complaint was the STRONG smell of chemicals, which seemed to disappear when washed. What was in those sheets FROM CHINA? 2014-08-08 These were very cute. good quality, fast shipping. 2014-08-08 Simple and efficient. They're great! 2014-08-08 Everything was exactly as I had expected, wonderful!! 2014-08-08 It arrived before the 6th of August and I was so excited!! It is soooo cute! My dad and step mom loved it! 2014-08-08 Arrived on time and perfectly package. It came with all the tags as if I got it off the shelf. 2014-08-08 Shorts arrived really fast. They are a 6-9 month but it seems this particular brand makes very long shorts. Actually works nice bc they will be good into fall. Great experience. Would order from seller again. 2014-08-08 Very good, great seller! 2014-08-08 Fantastic product!! my Wife was amazed by how they looked on screen they looked on real life, the product looks durable, exclusive and comfortable. 2014-08-07 Great purchase and experience! 2014-08-07 It's really good. My baby loves it. 2014-08-07 Very soft and looks exactly like the picture. Best of all the price is very good! 2014-08-07 Cute little pants and great value. I didn't get any bad feedback from my daughter so I'm sure the quality is good. 2014-08-07 great for the summer and keeps my baby cool. 2014-08-07 I am very grateful for the organic cotton! 2014-08-07 very nice shoes and satisfied with them. 2014-08-07 Came earlier than expected so it was possible to be given at the baby shower. 2014-08-07 PLEASURE TO DO BUSINESS WITH THANK YOU. 2014-08-07 As described, perfect for the shower gift with other monkey-motif items. Well made, no problems. Cannot wait to see my great-grandson wearing it. 2014-08-07 This was a gift and the recipient was pleased! 2014-08-07 Very cute socks! Arrived in a timely manner. 2014-08-07 This was a gift and my friend said he loved it. So I am assuming it was in excellent condition. I myself thought it was a wonderful gift, the quality looks great. 2014-08-07 Delivered earlier than expected and fit the crib mattress well. The sheets do seem kind of thin and cheap but I wasn't expecting the best quality for this price. 2014-08-07 Quality product, fast shipping. Great experience. 2014-08-07 Got these for my daughter I bought the 6-12 months which is like a size 3-4ish she is to small for the size 3 shoe but her foot is to fat for 2 these fit her great and they have grips on the bottom so when she walks she doesn't slide. They look really great. 2014-08-07 Each hat is very beautiful and the fact that this material allows stretching ensuring use for a long time. 2014-08-07 Nice shoe I just wish it was a little harder. 2014-08-07 Great house slipper for under 5 bucks! Cute too. 2014-08-06 The parents of the baby girl made a huge fuss over these little shoe socks. Absolutely darling gift. I highly recommend. 2014-08-06 very satisfied. thank you. 2014-08-06 Arrived very quickly and was exactly as described. Happy with the overall quality of the product. The price was an even better incentive to order from the seller in the future. 2014-08-06 Thank you for the quick and prompt service. 2014-08-06 This was a gift and it was loved! Cute outfits to match Mommy. 2014-08-06 Not sure, it was a gift. 2014-08-06 Cute. Will add more if necessary ater the baby is born. 2014-08-06 On time and exactly as described. 2014-08-06 These came in 2 sealed packs (2 to a pack) and looked just as they did online. Great transaction! 2014-08-06 Great blankets and cover up for breast feeding. 2014-08-06 All is good as expected! 2014-08-06 I cannot believe this blanket was so cheap, I love it! 2014-08-06 Everything arrived as expected and in good condition. Thank you! 2014-08-06 Product arrived quickly and was as described. 2014-08-06 Love these shoes! The seller was kind enough to change the size ordered after I noticed the size chart after I had already placed my order. These shoes actually stay on which I cannot say for most baby shoes. They are adorable! 2014-08-06 timely. good product quality. 2014-08-05 Got item quick, properly packaged and as decribed. 2014-08-05 Cancelled order with no issue. Great service. 2014-08-05 Very cute, My son LOVES shoes. I got the wrong size, but they were still adorable. 2014-08-05 Couldn't have asked for an easier experience. Arrived early, packaged wonderfully, and shorts are adorable and quality made. I am so completely happy - thank you! 2014-08-05 Cute pants, very soft and stretchy, easy to get on. But the sizing... hmmmmmm. I purchased the 3-6 months pack. They're very long, and I have to roll up the elastic part at the bottom. I say this having a 5-month old baby who is in the 99th percentile for height. For an average sized 3 month old, you'd have to roll these like 2 or 3 times. 2014-08-05 Only half my order arrived. However, when I emailed them they responded in a great time. Less than 15 minutes. They apologized and shipped the rest of the order immediately. I will order from them in the future!!!! We all make mistakes, it's how we handle those that make us shine or not, and BabyVision did. 2014-08-05 Perfect size, easy to swaddle baby using this product! Swaddle stays intact during baby's sleep time. 2014-08-05 Received one week before estimated delivery date, which was exciting! Outfit is so soft and absolutely adorable. Comparing the sizing to other brands, this runs bigger- Hudson Baby 6-9 month is comparable in size to Carters 12 month. I will definitely be ordering more! 2014-08-04 the socks were a gift -- hope the quality holds up for baby usage and washing - but overall seller experience was superb! 2014-08-04 The item was outstanding. Swift to send. Packaging was good. Remarkably pleased. 2014-08-04 Shipping made a mistake. Seller fixed issue fast and easy. Love these little shoes. They are going with a ladybug outfit for my new niece. Will be a repeat buyer. Thanks! 2014-08-04 It's beautiful. The grandson of my friend will be adorable in this bodysuit. Thanks. 2014-08-04 All I have to say is WOW, they are very fast shippers. I got my order 3 days before the estimated delivery begin date! Great quality product. Love Babyvision. My friend will be very happy with my order. Thanks again! Til my next order. 2014-08-04 Everything went great, thank you!!! 2014-08-04 These socks are excellent. They fit great and don't slide off my granddaughters feet! 2014-08-04 VERY FAST SHIPPING, GOOD PRODUCT, THANK YOU VERY MUCH!!! 2014-08-03 Great transaction, no problems, thank you! 2014-08-03 I absolutely love this set and for the price it can't be beaten. I'm super excited to see my nephew in these clothes once he arrives. 2014-08-03 Items came with in time frame and were exactly as described. 2014-08-03 Items came with in time frame and we're exactly as described. 2014-08-03 The best of the best and the softest material ever..
2014-08-03 These are so soft and so cute and the price could not be beat..
2014-06-03 Fast shipping & delivery as always. Thanks!!! 2014-06-03 My 16 month old son loves these little shoes. They fit him very well as he moves into a size 4 shoe. I think they will last him until he is too big for size 5 shoes. 2014-06-02 Great quality and fantastic product! 2014-06-02 They sent the wrong pattern, but shipped out the correct one when I called, and it looks great. The were very polite and prompt with handling the mistake. 2014-06-02 I bought this for my cute little puppy but it is way to nice for her to chew on and sleep on. I will save it for a baby shower gift. Its really soft!!! 2014-06-02 Item delivered on time and was as described. Would do business with this seller again. 2014-06-02 The shoes are adorable and packaged nicely. I can't wait until my daughter is big enough to fit into them. 2014-06-02 They arrived much before the expected time line. Always a bonus to get things early. 2014-06-02 Item as described. Quick delivery. 2014-06-02 Cute can't wait for my baby to wear them! 2014-06-01 Loved the quality. Made an awesome gift. 2014-06-01 It was a pleasure. Great product. No problems. 2014-06-01 Product arrived quickly and exactly as expected. 2014-06-01 I like the products it's very nice. 2014-06-01 No issues....arrived on time n was as described. 2014-06-01 Item were as described. 2014-06-01 Item seems slightly big for NB size, but at least it will fit longer! 2014-05-31 Arrived in padded envelope in good condition. 2014-05-31 These are adorable on my son! 2014-05-31 Nice seller. They even sent out an email to track the shipping. 2014-05-31 Good quality nice buy! 2014-05-31 very soft and good quality for such an inexpensive product. happy with purchase. 2014-05-31 My granddaughter luvs them. Nicely made. I will order from this seller again. 2014-05-31 This is a wonderful onesie. I still can't believe it is so cheap. Looks like a much more expensive one and it fits beautifully. I re ordered a bigger size for later use too. 2014-05-31 The Material Is A Little Weird But Other Then That. The Shirt Is Really Cute.! 2014-05-31 Love these if my son would keep them on! 2014-05-31 Taking one star away as they did not put enough shipping on the package. Had to give money to USPS before they would deliver. Clothes are really great. 2014-05-31 It came early without any problem. 2014-05-31 These shoes are cute. My baby has wide, fat feet, so the soft sole and sides helped accommodate them. The bottoms are a little slippery on hard floors, but no more than socks are. 2014-05-31 Very cute but didn't fit our almost 2-year old. That's okay, she can wear them in probably 6 months. 2014-05-31 I recommend this seller. 2014-05-30 Great value. Nice to have for a baby boy to be messy and cool this summer. 2014-05-30 Excellent transaction, & quick shipping! 2014-05-30 Excellent. I purchased the shoes for my grandson, and my daughter and son in-law loved them. 2014-05-30 There was no problem, everythng was just as described. 2014-05-30 Great value for the money. Nice fitting and does not fall off. Great buy! 2014-05-30 Great communication, Great service. Shipping was very accurate and very fast. Delivered before estimated delivery date. The quality of products is very high. Highly recommend. 2014-05-30 Fantastic quality! Fast Shipping! 2014-05-30 Looked awesome! Loved the quality! Good purchase. 2014-05-30 It's really hard to find baby washcloths locally (!) and I was very glad to find this product online and at an excellent price. Thanks! 2014-05-30 thank you for your excellent service!!!!! 2014-05-30 Fast and easy transaction. Thanks! 2014-05-29 I got the items very quickly and they were sp cute! Will definately buy from seller again. 2014-05-29 All items arrived on time. I only had one issue. I ordered 2 -3 packs of shorts and one pack was sent to make as pants. It all positive I kept them any way. I was giving it all as a gift. Thanks for the fast shipping. 2014-05-29 The items arrived before the estimated time of delivery and all items are in wonderful condition. Thank you for the fast service. 2014-05-29 Fast shipping, great product! 2014-05-29 Fast shipping & delivery!!! Thanks!!! 2014-05-29 SOO CUTE! They arrived quick and are exactly what I expected! 2014-05-29 delivery earlier than expected, item was exactly as described. 2014-05-29 Love the baby shorts! Fast delivery, great service. Thank you! 2014-05-29 Item arrived as promised. 2014-05-29 Thanks so much. Shipped out asap! 2014-05-29 Arrive sooner than I had anticipated and I really appreciate it. 2014-05-29 Arrived sooner than I had anticipated and I love them, keeps my son so much cleaner when he eats and when we do art projects! 2014-05-29 Arrived earlier than expected! 2014-05-29 Very nice sleepers. Thank you! 2014-05-29 Happy with the product Ã¢Â?Â?Ã¢Â?Â?Ã¢Â?Â?Ã¢Â?Â?Ã¢Â?Â? 2014-05-28 Super cute, fast shipping, item as described! 2014-05-28 exactly as described. THANK YOU!!!! 2014-05-28 Great item and seller. 2014-05-28 I purchased and had it delivered as a gift. Not sure if they arrived as estimated, but no complaints from the recipient. 2014-05-27 item arrived promptly and looks exactly like the picture. Very much impressed with this company and will definitely buy from them again. 2014-05-27 Product is perfect, I love it, every time ship quickly, carefully packaged. 2014-05-27 It was a gift and they loved them. 2014-05-27 Fast shipping & item as described! 2014-05-27 This item came in 7 days early. I am very happy with how cute these pants are. I got them in black and grey. Super cute, fast shipping. over all pleased. 2014-05-26 Great bib fits well and gets the job done. Also it is really cute. 2014-05-26 they are great colors and will fit my little one for a couple of months so that is great! 2014-05-26 Arrived sooner than I thought it would. 2014-05-26 Wonderful Transaction with Fast Shipping & beautiful item! Thanks again! 2014-05-26 Adorable! They look just like the photo. 2014-05-26 I love the sheets. They fit my 5" mini crib mattress perfectly. Thank you! I wish you had more variety! I would buy lots more! 2014-05-26 Love it! Quick shipping! 2014-05-26 Super Cute!! LOVE IT!! 2014-05-26 they stay on! Not sure what else to say, wahoo! 2014-05-26 Item as described and very useful the information about the size. It was exactly the size I wanted. 2014-05-26 Perfect perfect perfect for the porta cribs. 2014-05-26 Great quality. My friend loved the robot onsie. 2014-05-26 Arrived swiftly! Thank you! 2014-05-26 Ok. Took awhile to come. 2014-05-25 Such a great experience! 2014-05-25 I received this product well in advance of when I was told I would receive it. Very considerate seller. Nice product. 2014-05-25 These onesies are exactly what the seller describes. So soft and I couldn't be happier. They also arrived much earlier than the estimated date. Thanks! 2014-05-25 This adorable outfit was sold by BabyVision and arrived very quickly and in excellent condition. The quality of the merchandise is very good and it's so cute! We can't wait to see our grandson wearing his new clothes!!! I recommend them highly! 2014-05-25 These look huge when you get them, but shrink with the first walk. They seem very soft. 2014-05-24 The hat was a gift for my granddaughter and it arrived on time and packaged well. 2014-05-24 as described and on time. thanks! 2014-05-24 Love the item I ordered. Ordering was easy, fast and efficient. Shipping was fast. 2014-05-24 Items were as described. Looks to be size appropriate. Very cute and price was great for everything you get. 2014-05-24 Beautiful! I have 3 other sheets because my baby is in daycare. Definitely keeping this one at home! The best we have and looks amazing. Vibrant green. Looks just like photo. 2014-05-24 Very cute outfit with a great price fast delivery. 2014-05-24 Sandals are cute and cheap. They aren't super durable but for the price they are great! 2014-05-24 It was exactly what I expected. 2014-05-24 Good quality.The jacket is quite thick which I want.And the price is really good.A very satisfied purchase. 2014-05-24 Items arrived on time and in great condition. Thanks! 2014-05-24 Perfect washcloths, great price and came way before estimated delivery date! 2014-05-24 These onsies are precious! I got all of the different ones for a friend's baby shower; she is going to love them! 2014-05-24 Super cute. Awesome deal! 2014-05-24 They look cute and they were thick enough to protect the baby from cold. 2014-05-23 Fast and easy transaction! 2014-05-23 They were exactly as described and I couldn't believe the amazing price! 2014-05-23 Item arrived as expected. Very pretty crib sheet that fits well, even over a crib mattress pad protector. Nice pattern for a little girls crib. 2014-05-23 love this onesie. soft and good quality fabric that's not made in China. 2014-05-23 They are so great and cute! 2014-05-23 They were very cute and arrived in great condition. 2014-05-23 Cute warm little baby booties. Perfect for our extreme climate and he can't kick them off. Good product and fast service. 2014-05-23 Absolutely adorable shoes for the price! My son got lots of comments on how cute his shoes were. 2014-05-23 Great fast service, thank you so very much. 2014-05-23 Very happy to find these shorts for my 9 month old. 2014-05-23 Fast shipping and delivery. Thanks!!! 2014-05-23 Very cute! Baby almost missed the deadline for bein a Taurus but arrived 1 day early! Love it! 2014-05-23 Cute shoes! Arrived on time! 2014-05-23 Everything was as I expected, thank you! 2014-05-23 I've ordered many items from BabyVision and have never been disappointed with quality or service. Thanks! 2014-05-23 Ordered as part of a baby registry. Fine transaction, no complaints. 2014-05-23 Item arrived as described, good deal! 2014-05-22 The order arrived in time for my friend's baby shower. I love these organic onsies! 2014-05-22 The Mom loves it. 2014-05-22 Great deal on some really cute stuff!! Arrived earlier than stated, which is always good!!! 2014-05-22 Product arrived quickly and was packaged properly. My son loves it! 2014-05-22 Shipped within 2 business days. Items as described. 2014-05-22 Socks with treads washed and dried without shrinking! 2014-05-22 Good gift a baby boy! 2014-05-22 Super quick and so satisfied with the product!! Thank you! 2014-05-22 Absolutely perfect! Prompt delivery, just as described. Thank you! 2014-05-22 These shoes arrived several days earlier than expected which delighted me. They arrived with no damage noted, which surprised me since they came by US postal mail. I can't comment on the durability of these shoes or if they fit as stated because I have not given them as a gift yet. 2014-05-22 The onesie was cute and arrived right on time! Nothing bad to say. Would reccomend this to anyone. 2014-05-22 Exactly what I expected. Thank you for your prompt service. 2014-05-22 Fabric is super soft and lightweight and it arrived early! 2014-05-22 i love them all! looks like the perfect size and material to avoid having a hungry messy baby! 2014-05-21 The outfit is so cute and true to size. The outfit was delivered even earlier than expected. Will definitely be ordering more in the future. 2014-05-21 These shoe socks are so cute! 2014-05-21 The booties arrived on time. However, I misunderstood the colors as advertised. The teal was certainly teal, but the other color which looked red on my computer screen was much more pink than expected. They're very cute, but I probably won't be using them for my son. 2014-05-21 Emailed customer service to ensure I receive item quicker and they did it!!! The item is very pretty but just a tad bit short when I pull it all the way up on my daughter. I would suggest either going up a size so they are longer or keep them and they will be slightly short. I ordered all 3 colors and they will dress up any outfit! Absolutely--get them! 2014-05-21 It was a gift and it arrived when promised. 2014-05-21 EXCELLENT product and especially outstanding customer service from this company. Will definitely do business with them again!! Highly recommended. Thank you!! 2014-05-21 No Problems. Will buy from seller again!!! 2014-05-21 Great product, extremely prompt delivery, came before even the estimated dates. Very happy. 2014-05-21 Everything was as described. 2014-05-21 They are not as soft as I would have expected them to be or as soft as the Burts Bees baby clothes but they are cute and work. The stamp has a lining in the back so it doesn't irritate baby's skin. 2014-05-21 Package came on time. Had no problems. 2014-05-21 Baby and I love it! 2014-05-21 Going to be perfect for cloth wipes! 2014-05-21 Socks were cute and what I expected, they will make a great baby shower gift! The shipment came quickly. 2014-05-21 As described and shipped quickly. Thanks. 2014-05-21 Fast shipping. Great transaction. Would buy from this seller again. 2014-05-21 Seller had sent the wrong product but after contacting them I received the correct product right away. 2014-05-21 Great item- I love it. Quick & easy transaction. Cute onesie! 2014-05-21 Very prompt and smooth service. Items were just as they appeared in the picture. No complaints. 2014-05-21 As a day care provider, I cannot put blankets in the cribs of infants, so I use sleep sacks. They don't have sleeves so I needed a shirt for under the sleep sack. This works great. 2014-05-21 The seller was good, but merchandise "ladys love me" was not worth the price. 2014-05-21 Cute little socks for my grandson. They were quite a bargain! 2014-05-20 It looked cute and comfortable. 2014-05-20 Very good quality, an soft..
2014-05-20 Items as described. Very pleased. 2014-05-20 The socks and tights are lovely and very cozy. 2014-05-20 Love, love, love this seller. 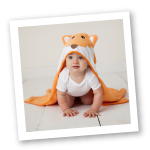 If you are looking for some of the best quality baby items, look no further! A+++++ seller. 2014-05-20 Sent as a gift, they loved it! 2014-05-20 Arrived quickly, well packaged, and absolutely adorable. Haven't tried them on the baby yet but they are cute as can be. Exactly as pictured. 2014-05-19 No problems. Item appears as described. 2014-05-19 Their very cute. Gave these as a gift so unsure of fit. 2014-05-19 Item arrived 8 days early. This outfit is very cute. 2014-05-19 Very helpful in resolving a concern. The pants should last him quite a while thanks to the roomy cut and soft elastic waist and cuffs. 2014-05-19 Very happy with the product which arrived in a timely manner. Great customer service! 2014-05-19 Gift for my Grandbaby - it arrived before estimated time and it was PERFECT!! 2014-05-19 Great service and nice mittens. 2014-05-19 Sheet was perfect color, shipping was FAST. THANK YOU for making a pregnant lady very happy!! 2014-05-19 couldn't have asked for a better price. fit my 6 month old but he's tall. 2014-05-19 no problems with service or delivery but one lid already has a crack. 2014-05-19 As advertised, ships fast, great price! 2014-05-19 Very fast Shipping! Super cute socks! 2014-05-19 Too cute outfit. I can't wait to have my son wear it. 2014-05-19 These were great. My little guy loves them. 2014-05-19 I bouht this item as a gift to my sister. The quality and colors are great. Also it is the best gift for a newborn baby girl. 2014-05-19 Great looking sheets. Twin A loves sleeping on it. 2014-05-18 I love the little crabs. So cute! 2014-05-18 Item received promptly and as described. 2014-05-18 Arrived fast and looks and fits great. 2014-05-18 Don't let the price fool you- these are good quality! I've washed it several times & the decoration has not cracked, peeled or faded & the onsie has not shrank. I will be ordering more. 2014-05-18 Order arrived on the very first day of estimated delivery and was exactly as described. I will definitely order from this seller again. 2014-05-18 I have not tried the socks, as our baby isn't here yet! But they look great and seem very soft! 2014-05-18 Super cute. We haven't worn them yet. I am sure they will do well this summer. 2014-05-18 Fast shipping and great product. 2014-05-17 We ordered a huge order of Hudson baby clothes. They're great! The were out of one of the onsies, so they left a nice bite to say that they just replaced it with another one for free (which was a more expensive one)! The deliver was on time and the packaging was not excessive! Very happy with them! 2014-05-17 So cute makes a great gift! 2014-05-17 Perfect transaction! Prompt service! 2014-05-17 I really liked them, i ordered them for my sister's baby! Loved them so much!! 2014-05-17 I ordered these for new baby nephew. will keep him cool during the hot southern Idaho summer. 2014-05-17 It looks the same as posted. 2014-05-17 I have bought several Hudson Baby Organic items for my new grandson from Baby Vision. Delivery has been amazingly fast, and my daughter has been very please with all of the baby clothes I have sent her. I HIGHLY recommend this seller, and the Hudson Baby Organic line. Thanks Baby Vision!!! 2014-05-17 The items arrived on time. It was described by the seller. I will recommend this item to friends. I will buy more items like this. 2014-05-16 This socks are very pretty they fit my 19 month old daugther, i order size 6-18 months, im glad i got them, and the price was very affordable! 2014-05-16 These are incredibly soft, great quality, and adorable! Couldn't be more pleased with them! 2014-05-16 a little big around the tummy, but accomedates for baby growth and shrinkage :) VERY WARM! she is so snuggly and NEVER gets cold at night when she's in this. The zipper is kind of cheap though, a little difficult to zip at times. 2014-05-16 Love these bibs, great price too! 2014-05-16 In my first order 2 of the onesies were slightly damaged (small hole near the top). I contacted the seller about it and they immediately rush shipped me replacements. The new onesies are great, and the customer service was even better. Thank you! 2014-05-16 The item arrived on time and as described. 2014-05-16 cutiest things Ive ever seen! Items came when expected.Very pleased wth it. 2014-05-16 Product arrived prior to delivery date, and product was as described. 2014-05-16 Great experience! No issues. 2014-05-16 the first pair was defective but I contact the seller and they promptly sent me a replacement pair. 2014-05-16 Giving as a gift. It looks well made, but don't really know much about it yet. Very cute outfit! 2014-05-16 It is soo cute! Giving as a gift, so not sure what else to say. It has not been worn yet, but looks well made. 2014-05-16 These are good for what we need them for. They get the job done and are some nice colors. 2014-05-16 Very cute outfit and delivered in timely manner. 2014-05-16 Item arrived on time and in great condition! 2014-05-16 Puchase and delivery went very smoothly. 2014-05-16 My daughter's shoes came on time. They look exactly as they are pictured. 2014-05-16 First pair of shoes we put on our little one that weren't blindly rejected. And they arrived quickly. 2014-05-16 Ordered from them on May 13th and the delivery estimate was May 20-23. They were delivered on May 16th!! 3 days later! Will definitely buy from them again! The baby leg warmers are adorable, I just LOVE them! 2014-05-16 Received girl socks instead of boys and seller quickly mailed out the correct ones.. thank you. Love the socks..
2014-05-16 This darling outfit arrived early -- perfect timing for the baby shower. The new mom-to-be was delighted. 2014-05-16 Item arrived early. The bodysuits were exactly what I expected. Very, very pleased! 2014-05-16 Theses towels are great nice and soft. 2014-05-16 I received everything on time if not before as stated. 2014-05-16 I'm very happy with my purchase. The package arrived in only 4 days (Spain) and the bodysuits were exactly as shown in the pictures. The fabric is very very soft to touch and colors are very vivid! 2014-05-15 Love them! My daughter is going to look so beautiful with these. 2014-05-15 Really great material,really soft! 2014-05-15 The booties were as cute as the picture. Received well by mom to be at her baby shower. 2014-05-15 I will forever shop BabyVision. Your prices are great, and so far all the items I've purchased from you are in great condition, and are so cute and stylish. Keep up the good work, and don't change a thing. 2014-05-15 Exactly what I wanted! 2014-05-15 Everything was just as described and got here before the date. 2014-05-15 Item came just as described. 2014-05-15 Great seller, thank you! 2014-05-15 Really nice onesie and a great advice. 2014-05-15 Great Product!! Fast shipping!! Highly recommended! 2014-05-15 Thank you. This is adorable. WhenI saw this I had to have it for my new granddaughter. Love Dragonflies. 2014-05-15 Fast shipment! Highly Recommended Seller. Thank you. 2014-05-15 They fit, stay on and are super cute! 2014-05-15 nice but small for toddler. Baby size. 2014-05-15 product arrived earlier than it was scheduled and product was packaged well so it was in tact when it arrived. 2014-05-15 Was a gift arrived on time. 2014-05-15 Cute sandals for a baby boy. Fast delivery. 2014-05-14 fast shipping, great prices, would buy again from this seller. I recommended this seller to many friends of mine who are looking for cute baby wear, at a great price, with fast shipping. 2014-05-14 fast shipping,, item as described. 2014-05-14 Everything came on time.very satisfied with a purchase! 2014-05-14 It's hard to find shoes for my 8 month old. The top of his foot sits a bit high, but these fit perfectly and they are very cute. They seem to last even though when he wears them he chews on them. 2014-05-14 It's hard to find shoes that fit my son and these fit great. The quality does not seem so great, all though they are super cute and I get lots of compliments.... By the second use a strap behind the heal just pulled right off. 2014-05-14 The product was just as described. I would buy from this seller again. 2014-05-14 Thanks for a quick and easy transaction! 2014-05-14 Thank you. It's a great gift. 2014-05-14 Absolutely adorable!!! It's even cuter in person than in the picture. I can't wait to give it to my daughter for my granddaughter. 2014-05-14 Order received quickly. Items are perfect! Quality is on par with Aden + Anais swadlles. Much better price though! 2014-05-14 Fast shipping, item as described. 2014-05-14 Great for beginners that walk a little and stumble. My baby loved wearing these and trained him t transition into sneakers. 2014-05-14 Excellent, the colors are great and the price is better. 2014-05-14 The product arrived correctly and on time. 2014-05-14 Items were exactly as described and very cute! I can't wait for my nephew to wear them! 2014-05-13 So cute! Love it! 2014-05-13 Arrived just as described! 2014-05-13 Shipping could have been faster, but it did arrive on the last day of the allotted time. Item was in perfect condition. 2014-05-13 The clothes are beautiful!!! 2014-05-13 I've bought a couple things from this seller and everything is exactly what I wanted and I got it fast. Thank you!! 2014-05-13 These we're loose at the wrist so they worked great round 2 months rather than newborn. 2014-05-13 Item was as expected and arrived on time. 2014-05-12 Great socks for the price!! Material is awesome as well! However, seems more like it'll only fit infants from 0-3 or 4 months. 2014-05-12 Great value - thank you! 2014-05-12 Very happy with the quality of this product. The price was affordable and quality excellent. Also fast shipping! 2014-05-12 We bought the pink pack and the blue for our twins to match their outfits for Mothers Day. The little socks fit good and the twins have some growth room! 2014-05-12 They are cute just like the little girl wearing them! Great deal too! Thanks! 2014-05-12 Love these onsies! Thanks! 2014-05-12 Thank you ....received items and was pleased with the service and delivery time. 2014-05-12 My items are prefect! ! 2014-05-12 These onesies are such a steal. So cute and soft. 2014-05-12 Item arrived as expected. 2014-05-12 The items were bought for my new born baby and i really love them. They look good. 2014-05-11 Great service and product. 2014-05-11 Beautiful bibs just as described. Easy to wash & dry fast. 2014-05-11 Lovely item and received on time. 2014-05-11 As she gets bigger, the outfits get cuter. I like that there is a lot of choice and that she feels comfortable in these. The fabric is very baby friendly and does not fade out after many washes. The price is great considering that she is growing so fast. 2014-05-11 Great seller. No issues! 2014-05-11 Adorable sun hat- runs true to size- baby is 1 yr- and 12- 36 months fits well, with a little room to grow. 2014-05-11 Item arrived promptly and was exactly as described. 2014-05-11 Arrived before schedule perfect timing, adorable shoes. 2014-05-11 Excellent seller with prompt shipping. Highly recommended! 2014-05-11 Item arrived on first day estimated. It is very cute and the fabric is very soft and wonderful for a baby! 2014-05-11 This was a gift off of a baby registry...it was what she selected. It came quickly, earlier than anticipated. 2014-05-11 Nice products, shipped quickly. Thanks! 2014-05-11 No issues - was delivered promptly, and the product was just as described. 2014-05-11 the items were in excellent condition when they arrived in my care, they also were the right colors and size. 2014-05-11 This was the first time I purchased Hudson Baby clothing. The items are soft and adorable and will get good use. They were a hit at my friend's baby shower. 2014-05-11 Awesome experienceÃ°Â?Â?Â. Love the bodysuits, excellent quality, can't wait to see them on my new granddaughter! 2014-05-11 In love with them and delivery was very quick! 2014-05-11 Came more quickly than expected and exactly as shown. 2014-05-10 Mom and grandma love them...bb is only 4 mos. old but we hear no complaints from him! They go with so many onesies. 2014-05-10 These are very cute socks. I also received excellent customer service from this company. I would definitely buy from them again. 2014-05-10 El producto llegÃ?Â³ en optimas condiciones!! 2014-05-10 Overall-Great transaction-quick ship, Great mittens, & had no problems & would do business with again!! Thanks!! 2014-05-10 Thank you for the fast delivery! 2014-05-10 I would have preferred the blanket to have been in a protective covering, but all else was good..
2014-05-10 I bought this for my daughter and she was very pleased with it. 2014-05-10 Order and deliver experience was great! 2014-05-10 Exactly as described, love this purchase, highly recommend. 2014-05-09 Arrived as expected and fulfill the need. 2014-05-09 This was a present for my friend's baby shower. She love it. 2014-05-09 Pillow case is as described and my 3 yr old grand daughter loves it! No problem with delivery or product. 2014-05-09 Had no issues with this seller. Got items exactly when I was supposed to. Everything was exactly as described! Thank you! 2014-05-09 Item is out for delivery today, 4 days earlier than estimate. Seller was very helpful, and gave prompt response to email with helpful info. I recommend this seller. 2014-05-09 Super cute!!! I purchased 0-6 months blue shoes true at size... easy to clean too. The hat is adorable...cute white and green liner. 2014-05-09 Exactly what I expected, thanks! 2014-05-09 I was pleased that my order came so quickly. I needed it for a baby shower. This was just what the mother to be wanted. Very cute! 2014-05-09 Loved the sandals; though the color of the insole looked like it was a orange online, which I wanted, but was actually more of a beige color. Other than that, was very pleased. 2014-05-09 Items came on time and I received exactly what I ordered. I am very pleased with this seller! thank you. 2014-05-09 Very fast shipping. This was a gift my sister loved it! 2014-05-09 Everything arrived in a timely manner and looked great. 2014-05-09 Ã?Âtem arrived on time. Excellent service. 2014-05-09 Everything was as expected. 2014-05-09 Love this little outfit! 2014-05-09 It was supposed to arrive in a week, it arrived in two days!! The quality of the product is great too! Ordering from this seller was a pleasure! 2014-05-09 Prompt ser ice, items came as described. 2014-05-09 Great prices, fast shipping and organic! you can't go wrong!! 2014-05-09 thank you very much...!! 2014-05-08 Item shipped quickly and received in the condition as advertised. 2014-05-08 GREAT I WILL BUY AGAIN FROM THIS SELLER. 2014-05-08 Very happy . Great prices with great service and very prompt delivery, infact showed up 6 days early even . Would order again from this company with high recommendations . 2014-05-08 My friend loved this! 2014-05-08 My daughter loves these. They are soft as a sock, but sturdy. They fit well with some room to grow. They are easy to put on and take off. Lightweight and smooth, they enable him to walk first steps. It is also easier and more enjoyable to hold him when he is wearing shoes that do not hurt when he steps in them. 2014-05-08 Our first grandchild and this was a great, cute and inexpensive way to express some happiness. 2014-05-08 i was told that the item was out-of-stock and they subbed another item.....however the original i ordered was in the package too. 2014-05-08 This was an overseas delivery and there were no hangups! Everything arrived on time. 2014-05-08 Delivery was prompt and on time...merchandize is exactly what I wanted . 2014-05-08 Product is absolutely amazing..I can't believe the price on these onsies! Cheaper than anywhere else and much better quality! Definitely recommend! 2014-05-08 Fast shipping! Item as described! Very Happy! 2014-05-08 I Received It Way Before The Actual Arriving Date They Gave Me. It Fits My Nephew Perfectly, I Love It. 2014-05-08 AWESOME PURCHASE AT AN EXCELLENT PRICE. WILL DEFINITELY ORDER MORE ITEMS FROM THIS SELLER. i AM VERY PLEASED AND SATISFIED WITH MY PURCHASE. 2014-05-08 Great buying experience. Will shop again. 2014-05-08 Item described correctly and delivered on time. 2014-05-08 These were exactly what I needed for my son this summer! 2014-05-08 Fast shipping! Thank you! Outfit looks good quality. Very cute. 2014-05-08 Items were all bundled together in a small package and arrived on time. 2014-05-08 Great! Prompt! Easy transaction! Thanks! 2014-05-08 Thanks for expediting the delivery service. Appreciate that! 2014-05-07 Excelente vendedor y muy buen producto. 2014-05-07 Very nice item. I would purchase from them again. 2014-05-07 It's Ok, for the price. 2014-05-07 Thanks for the fast delivery! 2014-05-07 Great price and all the above ! 2014-05-07 lovely clothes, great shipping time and reasonably priced. 2014-05-07 Super cute baby outfit. Great shipping. 2014-05-07 I received my order on time. 2014-05-07 They did a really good job on getting me my order and the pants are really cute. 2014-05-07 This item was exactly how i wanted it! Excellent purchase! 2014-05-06 I was a little concerned about the glasses when I saw how they were packaged, but items were in perfect condition once I looked at them well. 2014-05-06 Very cute and arrived on-time which was perfect! 2014-05-06 Very cute sandals!! Shipping was super fast!! Thank you!! 2014-05-06 I have never left feedback for a seller, but wanted to give a big thank you to this seller for their customer service. I was not happy with the bibs I purchased, due to a defect and toxic odor. But the seller was prompt and respnsive and refunded my money without a return. Thank you! I appreciate the way you handled this, and would be happy to use you again. 2014-05-06 Excellent service, prompt and inexpensive delivery! 2014-05-06 This hat is my favorite, and is true to size. Excellent! 2014-05-06 Great service and products. 2014-05-06 Great Seller! Lightning Fast Shipping! Came in Great Condition. 2014-05-06 ordered as a gift.